The plate rolling machine is a kind of common forging machine equipment which can turn the metal plate into a cone, spherical body, tube body or other shapes. The four rolls are named because they have four rolls. What is the structure of the four rolls? The upper roller of four roller plate bending rolls is drive roller, lower roller and side roller are slave driven roller. Upper roller position fixed, bottom and side roller can lift & move. Upper roller is driven by hydraulic motor, lower & side roller rotation is driven by the friction between the steel plate and the roller. Both the lower roller and the side roller are driven by the oil cylinder on both ends to realize the lifting movement. The reverse of the front bearing body of the upper roller is carried out by the reverse oil cylinder, each roller bearing body and oil cylinder are mounted on the left and right end of the frame. The left and right frame is the main body of the four rolls, and the welding structure is installed on the whole base. Regarding the pushing device, after finish rolling the workpiece, overturned oil cylinder, and the workpiece is rolled out when the oil cylinder is turned in place. The whole operation of the machine is carried out on the operating table. 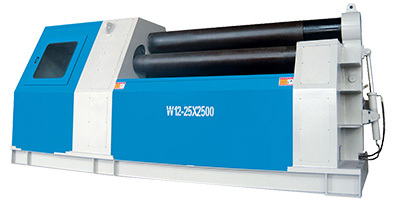 The rollers of 4 rollers rolling machine can clamp the steel plate to prevent the slide when bending. The side roller can realize the function of the position, and the steel plate can be calibrated when feeding. Easy to bend taper, elliptical shape as well as copy other shapes. The steel plate is can’t be turned back when the 4 rolls bending machine are doing pre-bending and circle rolling. If found abnormal machine noise, shock, vibration, the electric leakage phenomenon as well as too high temperature(> 60 ℃) for the hydraulic oil, motor, bearing, it is necessary to stop the machine immediately for inspection. When using the sample to check the roundness, it must be carried out after the rolling machine stops. When the steel plate is rolled, it is strictly forbidden to stretch out the head. Machine operation personnel must stand on sides of the rolling steel plate, both front and back of the plate bending rolls (upper roller effective work surface) shall not stand personal, and no person should stand on the plate during rolling process in order to prevent the steel plate stretch out or off to hurt people. 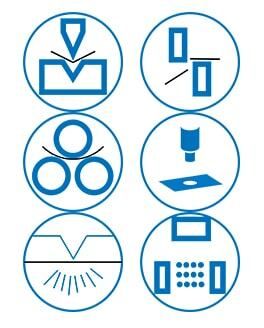 The specifications of the rolled sheet shall not exceed the scope specified in the equipment specification and the ability chart. The pressure of roller must not be adjusted at will. The operator must observe the operation condition. All rolled sheets must be rolled in the center of the roller. Skidding is not allowed in the rolling process. During steel plate rolling process, the operator must always observe various operation conditions, the sheet shall not out of the roller. Worksite is not allowed outsiders into it. When the tipping frame is overturned, it must be confirmed that the horizontal direction of the upper roller is in the middle position, which can be overturned when the vertical direction is at the highest point. When the upper roller is in contact with the lower roller, it can not move the upper roller horizontally. 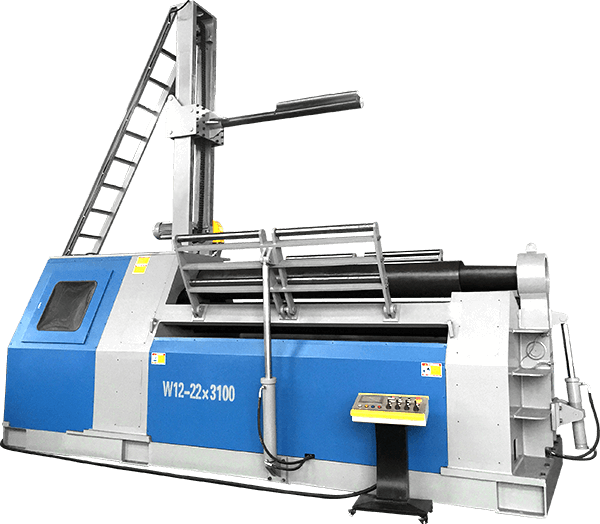 When the initial welding of the cylinder is carried out on the rolling machine, the welding machine ground wire must be in good contact with the cylinder body.